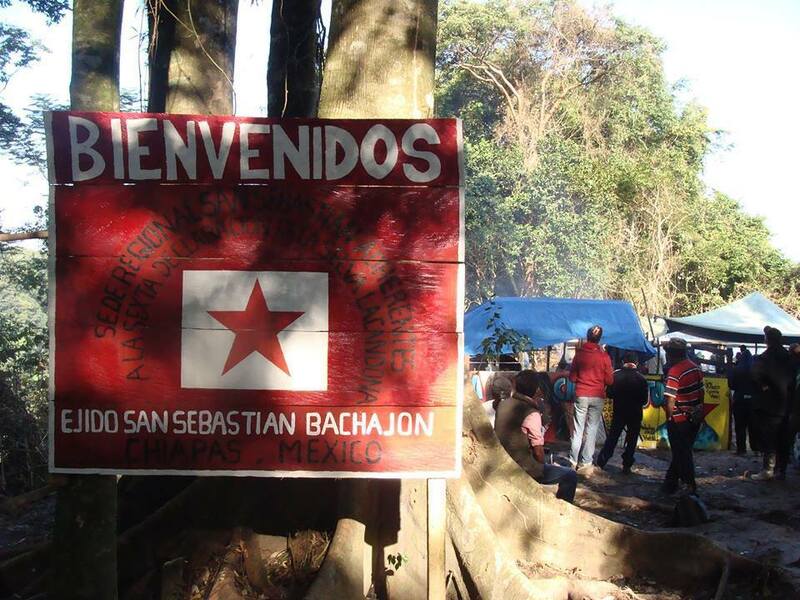 Three Tseltal indigenous, Juan Antonio Gomez Silvano, Mario Aguilar Silvano and Roberto Gomez Hernandez, political prisoners from San Sebastian Bachajón, are released following an amparo recognising their illegal detention and torture. The compañeros political prisoners of San Sebastian Bachajon, Juan Antonio Gomez Silvano, Mario Aguilar Silvano and Roberto Gomez Hernandez, prisoners in (Cereso # 12) Yajalón Chiapas, were released from prison on Tuesday, August 18th of this year in compliance with an amparo recognising the illegal detention and torture of our compañeros; likewise we demand freedom for the others imprisoned unjustly, Esteban Gomez Jimenez, prisoner in Cintalapa de Figueroa (Amate # 14), and Santiago Moreno Perez and Emilio Jimenez Gomez, prisoners in Playas de Catazajá, Chiapas (Cereso # 17) and the freedom of other prisoners in Mexico and the world. Immediate freedom for the unjustly imprisoned defenders of the water from the Yaqui tribe, Mario Luna and Fernando Jimenez, and in general for all the political prisoners in the country. We hold the bad government, and the state and federal forces responsible for recent developments in the community of Santa Maria Ostula. Last July 19th federal forces entered the community of Santa Maria, opening fire and shooting to kill at unarmed civilians, killing a child, Edilberto Reyes Garcia, 12 years of age. Prior to this act of homicide, they arrested compañero Cemei Zepeda Verdia, who was appointed by his community as first general commander of Santa Maria Ostula. We denounce those who are responsible for the release of two of the intellectual authors of the murder of the teacher and compañero Galeano; the self-proclaimed “judge” Victor Manuel Zepeda López, of the criminal court in Comitán de Domínguez, Chiapas, declared that Mr. Carmelino Rodríguez Jiménez and Mr. Javier López Rodríguez are innocent, despite that fact that they and their accomplices in the CIOAC-Histórica know that they are guilty of organizing the crime. Compañeros and compañeras, we want to say to the indigenous Otomí community of San Francisco Xochicuautla, municipality of Lerma in the state of Mexico, that you are not alone because we are attentive to your struggle, it enrages us how the accursed government wants to take away your lands with violence and repression just like they want to take away our lands in San Sebastian Bachajón, we ask the compañeros and compañeras from Mexico and the world that, according to their times and ways of being, they raise their voices for San Francisco Xochicuautla in these important moments in the struggle for the defence of their land and sacred sites, which the bad government wants to destroy in order to build highways without considering nature. Justice for the compañeros and compañeras killed for defending freedom, peace and life. Immediate presentation of the disappeared compañeros from Ayotzinapa! Long live the dignified struggle of our compañeros y compañeras from the ejido Tila!